Beeyoutiful offers many products that help you to take control of your own health. This Christian-based company is committed to offering the best possible tools, in ways of products and information, that will allow you to become a healthier you. I was lucky enough to receive some products from Beeyoutiful to review. Those who knew me in my past life (aka: my life before kids), may remember that at one time I was really knowledgeable about natural remedies and products and that I even considered becoming trained to help people use these products. Life decided to take me in different directions and my time and access to these materials became limited. I received four products to use: Laveshmint Daily Moisturizing Lotion (a facial cream with pure aloe), Vanilla Dream Body Butter (for general moisturizing and for skin repair), Hair Shine Spray-In Conditioner, and Laveshmint Hydrating Toner (for skin relief after cleaning or damage). I LOVED three of the products I received. The Laveshmint Daily Moisturizing Lotion was a perfect all-natural alternative to my mass-produced and expensive face cream. I was surprised that it was only a fraction of the cost I currently pay. It retails for $12.00 for a 4 ounce container on the website. I currently pay almost double that for a smaller sized bottle. I loved the way the lotion smelled, and it wasn't greasy and didn't leave a shine on my face. I also found that my face didn't feel as dry as it usually does at the end of the day. The Hair Shine Spray-In Conditioner was another awesome score for me. Margaret's hair is nightmare for me to deal with. Not only is it very fine, but it tangles easily and looks like a rats-nest each morning. She so desperately wants long hair like me, but it is a real chore to comb it out each day. I decided to use the product on her, and I was so impressed with the results. Here is her hair before I used the product. Do you notice all those little wispies that look like nothing big? Each of those is a tangle involving about five pieces of hair. I sprayed in the conditioner, not enough to actually wet her hair~maybe about four squirts, and those tangles came out tear free! It was like bells were ringing and angles singing that she was not crying after I combed her hair. The Hair Shine Spray-In Conditioner is $15.00 on the website. That is about the same as a salon produced leave-in conditioner, but with Beeyoutiful you are getting a product without all the extra chemicals and junk. The Laveshmint Hydrating Toner was another favorite. I am a big fan of body mist sprays and so I used this product a lot. I loved the lavender smell and it was an added bonus that it was also repairing my skin as I wore it. The smell wasn't too strong and didn't last too long, which was a real problem I found with other body mists. I like to smell like lavender, but I don't want to reek like it. This hydrating toner retails for $14.00 on the website. The final product I received was the Vanilla Dream Body Butter. Now, I am not a fan of vanilla or a fan of body butters so I gave it to a friend to try out for me. She tried it a couple times a week for a month and she reports that although the smell was "heavenly" she felt the product left her skin feeling "greasy." It did leave her skin soft, but the greasy feeling remained long after the smell had faded. The Vanilla Dream Body Butter retails for $15.00 on the website. 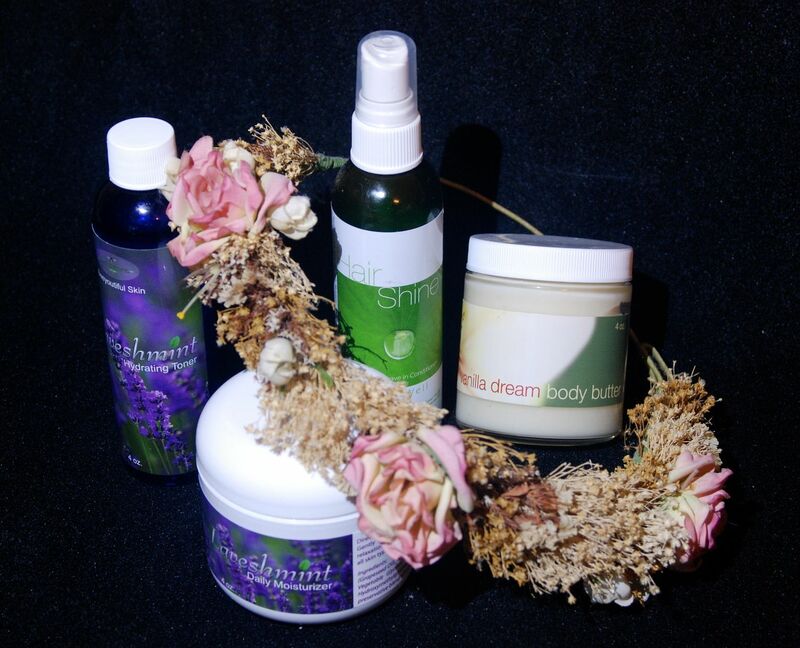 Beeyoutiful offers many different products on their website. I was excited to find that they have a large selection of Essential Oils for affordable prices. With winter and cold season approaching, I am going to need to stock up on some of those. They also offer supplements, books, and even tea! I was not the only one to receive products from Beeyoutiful. Many other team members on The Schoolhouse Review Crew received make-up and different body products than the ones that I mentioned above. Click HERE to read their reviews, or click the banner below. Disclaimer: As a member of The Schoolhouse Review Crew, I received the above-named products from Beeyoutiful in exchange for an honest review on this blog. I received no other compensation.